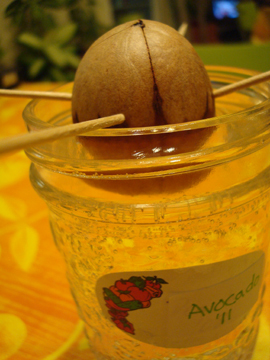 After having some delicious avocado and tomato salad, attempting to grow an avocado plant. I came across a book called Don’t Throw It, Grow It some time last year and I’ve been wanting to grow an avocado plant ever since. There are tons of instruction online but this one came with a friendly video so I followed it. And now it looks like an alien egg sitting on a hatching chamber soaking in some bubbling, radioactive liquid. I hope it sprouts. I’ll keep you posted! Häkeln! 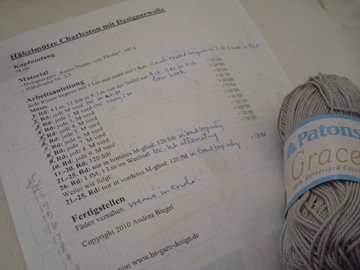 Been attempting a crochet pattern in German. It’s for a hat. I really liked the look of the hat, and no language barrier was going to keep me from making this hat. It was actually a really straightforward pattern. I was particularly impressed with Google Translate — it appears to know crochet shorthands! 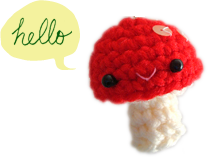 This list from Owlishy for crochet and knitting terms in different languages also helped a lot. And for the first time I’m using some good quality cotton by Patons called Grace, in “clay”, because I had a 40% off coupon from Michaels. I realize that good quality yarn doesn’t split as much as its inexpensive acrylic counterparts and is therefore a lot nicer to crochet with. 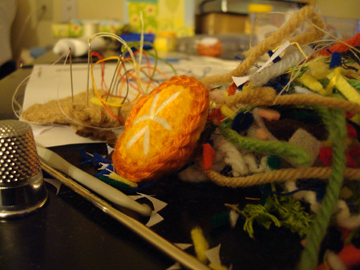 And then there are also other things in progress. More life‐decisions type things. I feel like “in progress” has been one of the defining features of my life since kindergarten. Always working toward the end of a long process and the resolution. A sense of settlement. Stability. But what if there is no such thing as settlement, and life is meant to be always in progress, in motion? Or what if I’m just never satisfied, and when I can choose to settle on something I instead choose to move on to something else before giving the former a fair chance? This is where I go in circles. And I think about all the things that I do, the things that I make, the stuff that I write on here, whether it means anything. I think about the paths I’ve chosen, all the time I spent in different classrooms, and I lay awake at night terrified that I’m going to waste my life away. But in the very centre of the circles there is faith, which holds that none of the work done in progress would be wasted, told to me through the words of my mother. And I can only hold on to that and move forward.